Track your progress as you unravel the secrets of rope skipping! Our custom stats page will help you see what skills you’ve mastered and what skills you still need to learn. 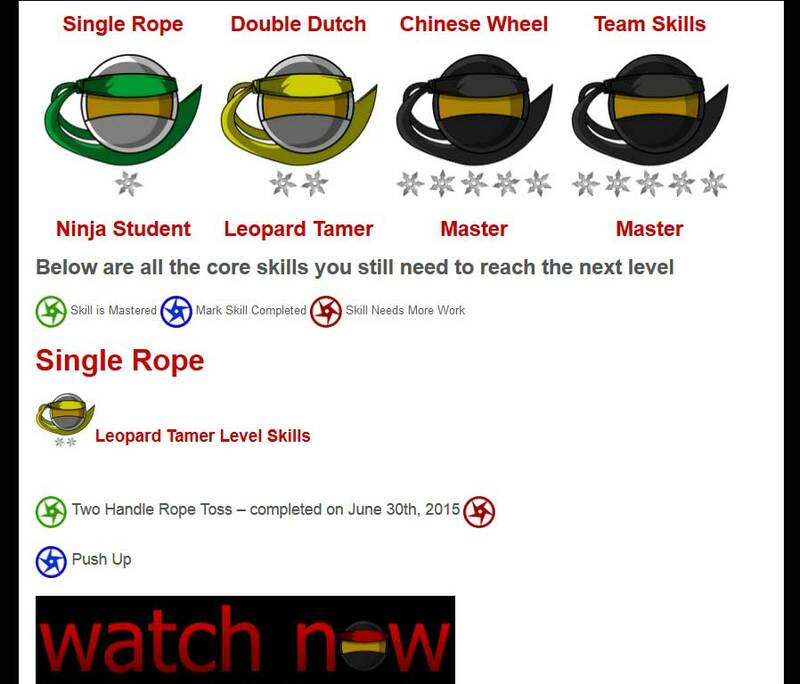 Each level in rope skipping has different core skills you need to master before moving on. 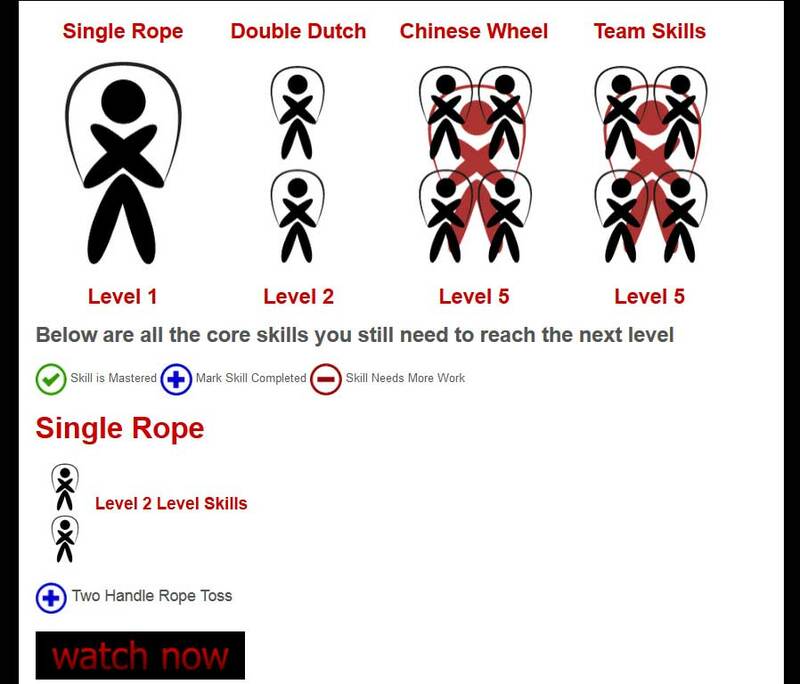 We have each section divided into skill levels so you can see how you’re progressing through the various types of rope skipping. Mark off each skill as you learn it and you’ll be mastering the secrets of jump rope in no time. We also give you the ability to choose your training style! Each graphics package is unique and we will be adding multiple options for you to choose from so that you can truly customize your learning experience. We have hours of detailed instructional videos on jump rope. You will learn how to do all the following styles of jump rope skills.